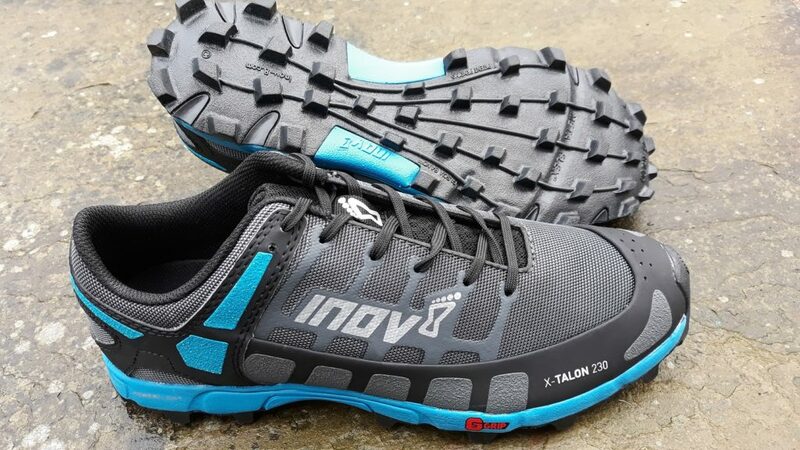 The Inov-8 X-Talon 230 is the latest addition to the brand’s renowned range of fell running shoes. 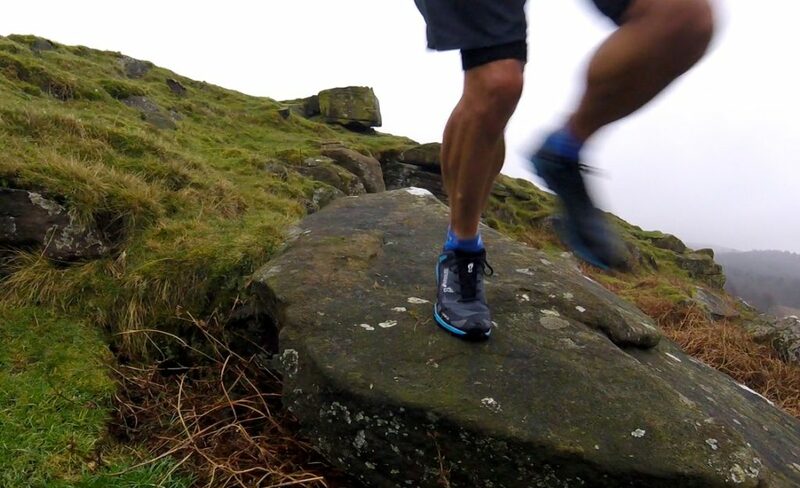 I know lots of fell runners who choose X-Talons as their preferred race shoe; the aggressive grip, precise fit and light weight making them ideal for fast running over loose and wet terrain. 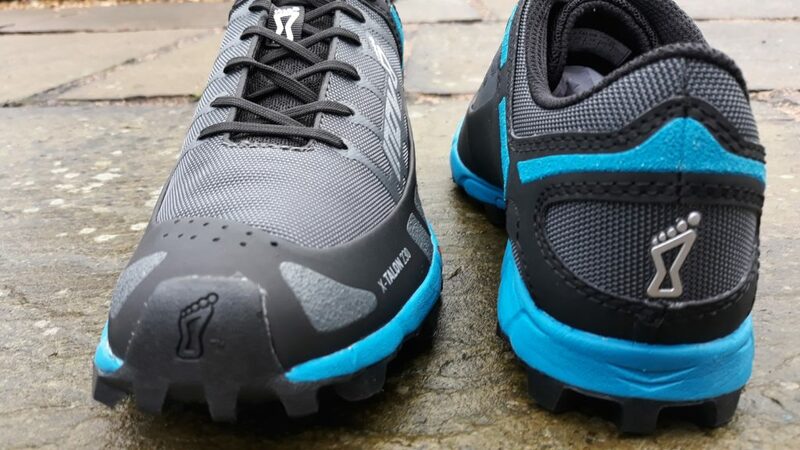 I’ve had several pairs of X-Talon 212 in their various guises and use them for both racing and winter training – so what’s different about the new X-Talon 230? The 230 model now features a different rubber compound on the sole with Sticky Grip rubber designed to give a better grip than on previous X-Talons. (Note this is not the Graphene rubber due to be released later this year). The sole unit is visually identical to that on the 212 with the familiar pattern of 8mm aggressive lugs but the sole now also contains a rock plate that gives underfoot protection from sharp stones, a handy feature if racing down loose rocky paths. The shoe uses the Powerflow+ midsole which is designed to give better shock absorption and energy return than on previous models. 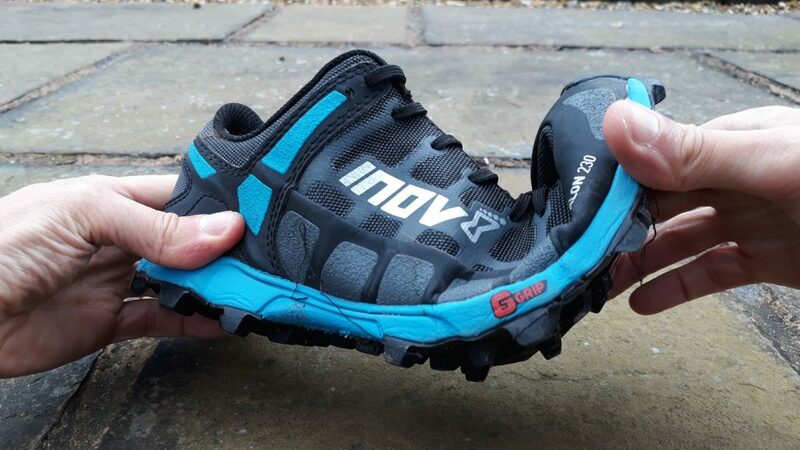 The 230’s have a 6mm heel to toe drop as indicated by the two arrows on the heel unit, the same as the 212 version and come with Inov-8’s new width rating of 1 (1 being the tightest, 5 the widest) which replaces the previous “precision” and “standard” width measurements of the toe box. The uppers are water resistant with an all round rand and toe bumper offering good protection to the foot. They are also designed to accommodate the Inov-8 Gaiter which is useful for preventing the ingress of snow or small stones (e.g. if scree running). As the name suggests the 230’s are slightly heavier than the previous X-Talons which range from 190 to 225 grams, however this is still very light compared to many fell shoes. 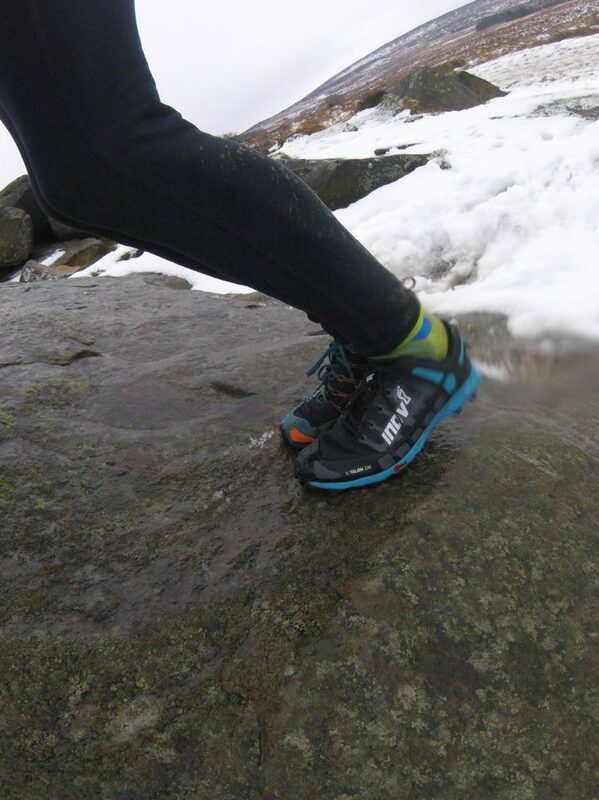 I’ve had the 230’s for a few weeks now and have had chance to test them in some pretty horrible winter conditions including snow, mud and on wet gritstone. My first thought on hearing about the rock plate was that they would have a rigid sole and although they aren’t as flexible as the 212 model they certainly aren’t stiff. They seem to have a little less twisting flexibility but front to back flexibility is still good. The uppers felt a little stiff at first and it seemed like the shoes needed a few wet runs to “bed in”. 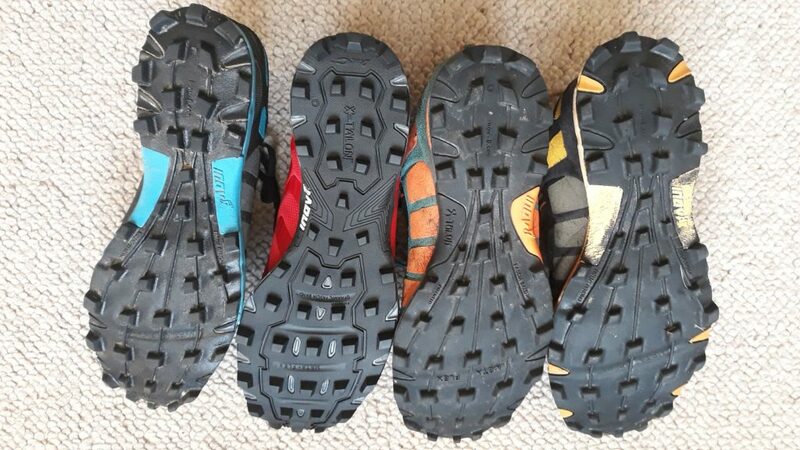 What I do find difficult to judge when testing shoes is grip; is it possible to gauge if the new Sticky Grip rubber is better than the previous version? Obviously it would be easier to compare different tread patterns in mud but what about identical tread patterns on wet rock? that’s a bit more subjective. So I decided to conduct a not so scientific test – running with different models on each foot! 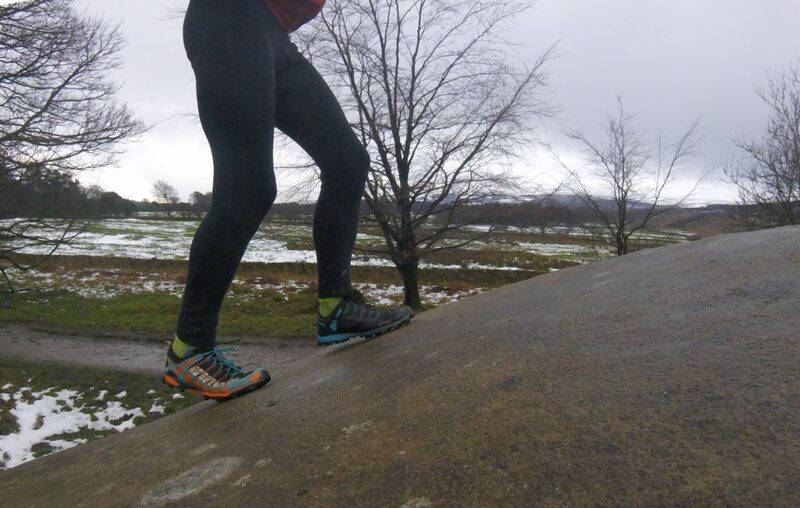 Whilst running I couldn’t tell for certain if one shoe offered better traction than the other so I tried a spot of easy “bouldering” on a wet slab of rock where I attempted to use first one foot then the other on the same “hold”. Other testing included hopping up and down on either foot on the same area of sloping rock. The bouldering test definitely felt like one shoe offered more grip. I tried left and right foot with both shoes in order to eliminate any imbalance in my balance / coordination etc. The result – the 230’s definitely felt stickier! However during the testing they still felt slippy on wet rock with green lichen so don’t buy these thinking that they will grip on ANY wet rock. Smooth wet limestone would still be a challenge for any shoe! I don’t see the Inov-8 X-Talon 230 as a replacement for the existing X-Talon 212 which is still available. 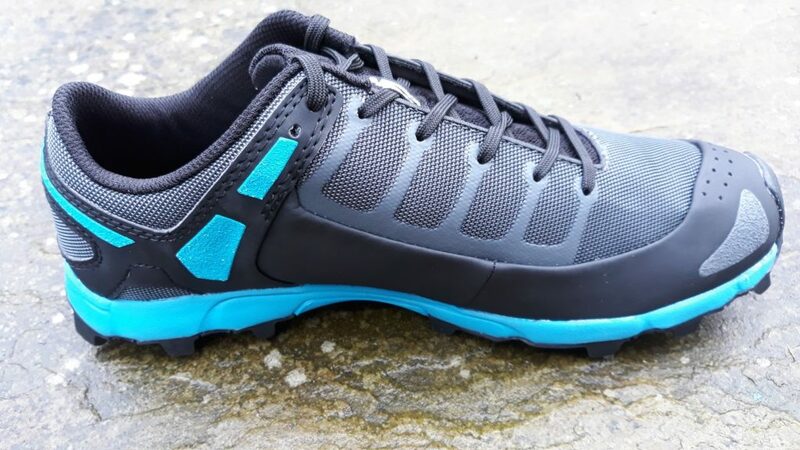 They offer a little more protection and thus are a little heavier and a little stiffer so might not be the shoe for the runner seeking a very light, low and responsive fell racing shoe. If that is you then the stripped down, speedy little brother the new X-Talon 210 is probably for you. However if you want a lightweight shoe with excellent grip and some underfoot protection that is suitable for both training and racing then check out the X-Talon 230. Posted in Reviews, Shoes and tagged fell running shoes, inov-8, X Talon. Agree with your review, but also I think the X-talon 230 is a good addition to / replacement of the x-talon 212. This was my favourite fell / trailrunning shoes for challenging and difficult terrains. The x-talon 230 is surely a good replacement. Good idea to test both shoes left and right, I will try that also! Oh dear that doesn’t sound good. I try to limit running in them to soft, muddy conditions and avoid harder trails so as to preserve the life of the studs. I suppose it’s always a compromise – soft rubber gives good grip but doesn’t last very long. It will be interesting to see how long mine last. To be honest I haven’t used the shoes enough yet to comment on wear and tear. I currently use Mudclaws and X-Talon 212s for racing – I’ll start to use the 230s when my existing X-Talons wear out! What are these shoes like for long runs? Like 20 miles + are they still comfortable? Hi Oli. Yes they are fine for long runs on soft ground but they aren’t suited to hard packed surfaces.